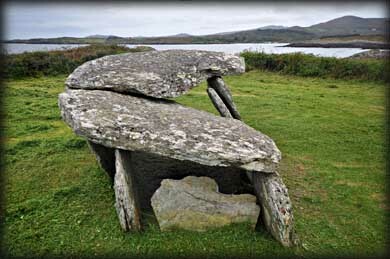 This wedge tomb must rank number 1 on the easiest megalith to visit list. Located 7 kilometres west of Schull on the coastal side of the R592, it comes with it's own cap-park. 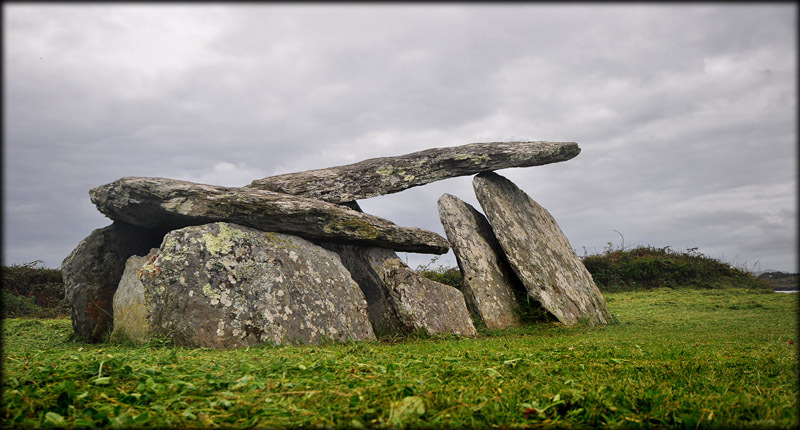 The megalith sits on a small flat green area just 30 metres from the rocky shoreline overlooking Toormore Bay. 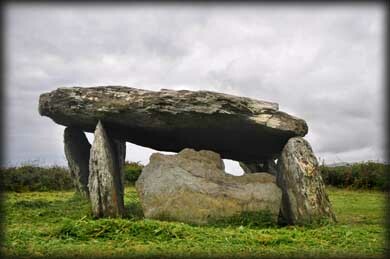 It measure 3.4 metres long by 1.9 metres wide and is covered by two roofstones. 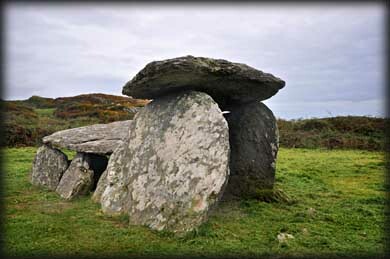 There are three side stones on either side of the chamber.The tomb has a very pronounced lean to the east, see image below. It is aligned ENE-WSW and faces Mizen head. A great tomb to visit but a bit too neat. The O.P.W. had just finished grass cutting when we arrived. Discovery Map 88: V 8588 3027. Last visit Sept 2012.